I have ‘celebrated’ my dear’s birthday — My Story~ 2 weeks ago. And now, it gonna be a belated birthday post on my blog. I can’t believe that I have blogged for 3 years; starting with my uninteresting + dull story about my life and people around me and now onto food blogging which has exposed me to a bunch of food-loving friends. Food blogging also lead me to a brighter, happier lifestyle; marched me out from those miserable days. 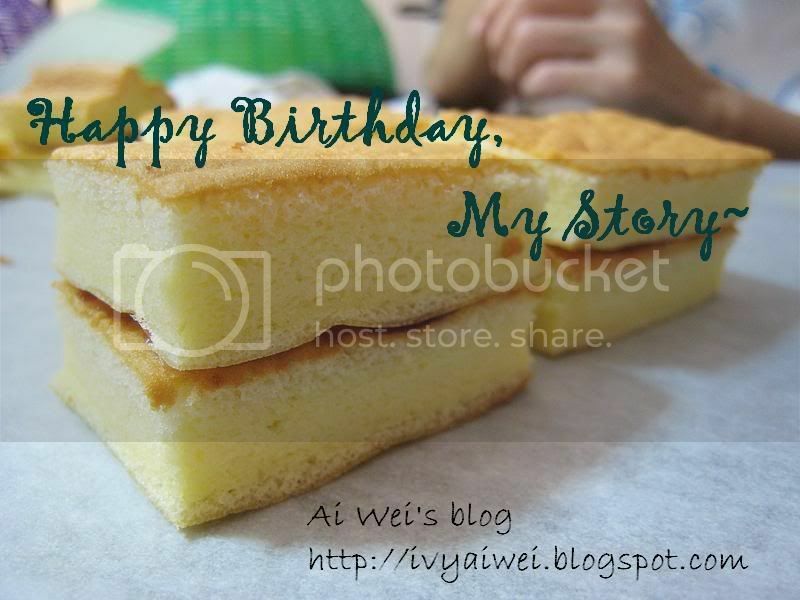 So, on this special day, I made My Story~ and me, myself the Japanese Cotton Sponge Cake for a small celebration with my family. (Well, they actually don’t know much about my blog; they just wanted to eat this cake). Here it is, the Japanese Cotton Sponge Cake with a spread of blueberry jam sandwiched between the layers the sponge cake. Wow… read through the blog of yours, very interesting and informative… you must have put in lots of work and effort for the past three years. ahhh food, always great to cheer the day up! must add oil in blogging. here to wish you happy blogging and ‘gambate’ in updating your blog. looking forwards you to come back and kacau me lar… just can’t wait!!! i am sure you can do it as you are doing it very well now. together we eat hard for our blog!!! happy birthday for ur food blog!!!! agree with u !!! no food no happiness!!! Hello Ai Wei …. although I haven’t met you before, felt like we’ve known for quite a while now … through our writings. Anyway, wishing your blog a very Happy Birthday and many more to come. (Sounded a little ol’ school huh). Well, it’s foodies like you who’s been contributing to the society. Well done and keep it up! Very interesting. Haven’t seen that before. Thanks for sharing. thanks a lot. thanks for the support. guess i really have to put more efforts in my blog when i have more spare times and every single thing around me. thanks thanks thanks a lot! nice nice very lovely! so soft and so silky! happy belated birthday to your blog. Happy Belated Birthday to My Story! 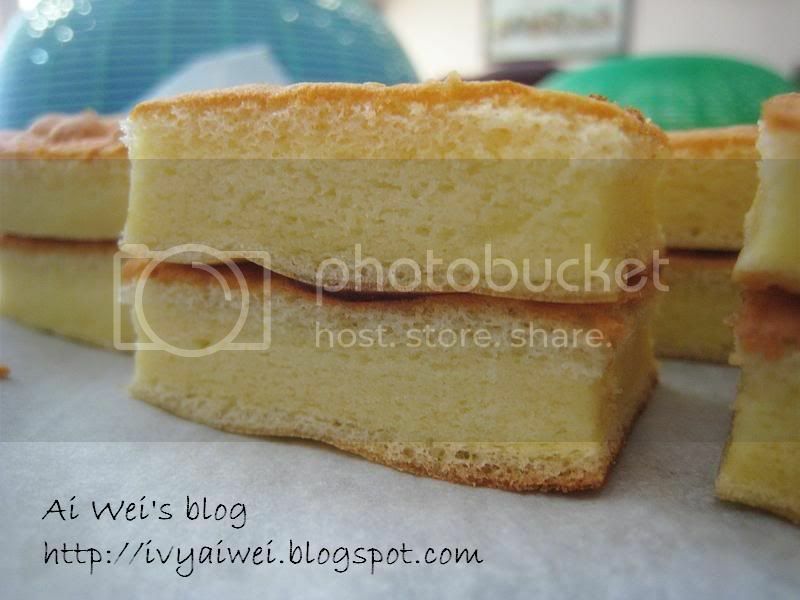 Love your cake so much… love reading through your blog when i am craving for malaysian food haha… simple yet informative description :)Good job, Wei! Looking forward towards more post.. And Happy Anniversary, My Story~! hihi, thanks a lot my dear, i will ‘add-oil’ in posting more.